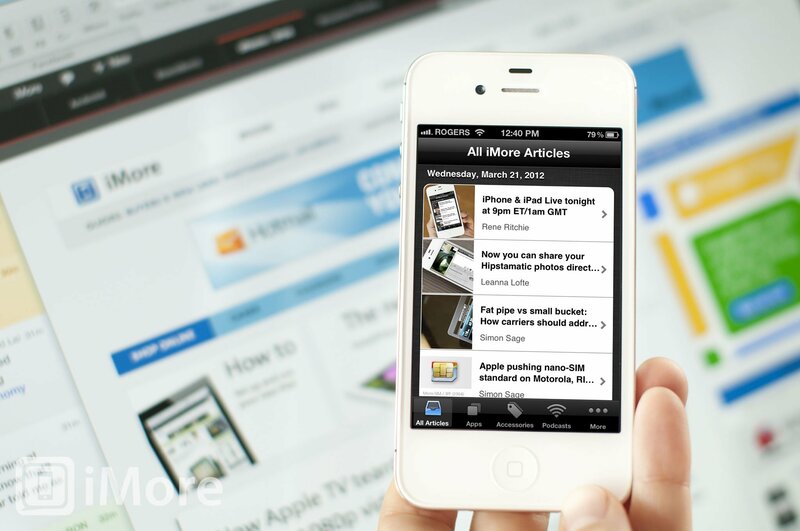 Win a FREE iPhone case with the iMore app! While I just know every single member of the iMore nation went and downloaded the brand new iMore for iPhone app the instant it became available -- and rated it 5 stars in the App Store, right? -- we're so happy with our new baby we can't help but want to celebrate some more, and thank each and every one of you for simply being just so awesome. So here's what we're going to do -- we're going to give away some iPhone cases! I've reviewed a couple lately that I really liked, and I can't decide which one we should give away, so I'm going to let you choose! Tell us which case you want to win, SGP or Case-Mate! And that's it! We'll pick a couple winners, and you'll get the case you chose. Really, could anything be more awesome than that? So what are you waiting for? Send in your case pick now!